David Hayter may be the voice of Snake, but he doesn’t have the best memories of working with creator Hideo Kojima. 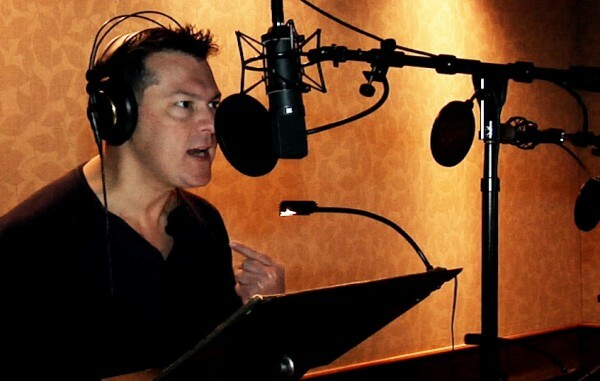 David Hayter, the veteran voice actor known for voicing the various iterations of Metal Gear Solid’s Snake, has spoken out about his relationship with series creator Hideo Kojima, why he may never play Metal Gear Solid 5, and a lot more. Hayter told GameInformer he was not surprised to hear that he won’t return to play Snake in The Phantom Pain, revealing that Kojima has been trying to find a replacement for him since as far back as Snake Eater. “I had to re-audition for Metal Gear 3 to play Naked Snake,” Hayter said. “They made me re-audition to play Old Snake, and the whole time, they were trying to find somebody else to do it. Kojima got his wish to have a Hollywood actor play Snake when it was announced that Kiefer Sutherland was going to play Hayter’s role in The Phantom Pain. Hayter was never told why he won’t be invited back into the recording booth, and learned about it from one of the game’s producers. “That was basically it, and then I talked to Kris Zimmerman (Metal Gear Solid English casting and voice director),” he added. “She said, ‘We’re going forward, but it looks like they are going to try and replace you.’ They tried to do that before, and it never worked. They tried to get voice matches, and it never happened,” Hayter goes on. “It was annoying to me, because I thought that I had given a lot to the series and really helped promote it. Hayter also shot down any hope fans of the series may have had of him and Kojima reuniting, now that Kojima is a free agent, saying, “I’ve got no particular love for Kojima. You can listen to the full interview through the link.